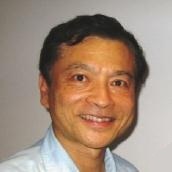 Patrick S. P. Wang, Fellow of IAPR, ISIBM and WASE, and IETI Distinguished Fellow, has been tenured full professor of Computer and Information Science at Northeastern University, USA, Shanghai East China Normal University Zi- Jiang Visiting Chair Professor, research consultant at MIT Sloan School, and adjunct faculty of computer science at Harvard University. He received PhD in C.S. from Oregon State University, M.S. in I.C.S. from Georgia Institute of Technology, M.S.E.E. from National Taiwan University and B.S.E.E. from National Chiao Tung University (Hsin-Chu campus, Taiwan). Dr. Wang has organized numerous international conferences and workshops including conference co-chair of the 18th IAPR ICPR (International Conference on Pattern Recognition) in 2006, Hong Kong, China, and served as reviewer for many journals and NSF grant proposals. He is founding Editor-in-Chief of IJPRAI (Pattern Recognition and A.I. ), Machine Perception and Artificial Intelligence Book Series by World Scientific Pub. Co. and Imperial College Press, London, UK, and elected chair of IAPR-SSPR (Int. Assoc. for P.R.). Dr. Wang has been Invited to give keynote speech in many international Conferences, including ICGIP2016, Tokyo, UKSim2015, London, WSCS2014, U.C. Berkeley(http://www.wconsc-2014-berkeley.com/keynote.html),UKSim2014, Cambridge, UK, MLDM2013, Berlin, ISDS2012, Rome, ICCIS2011, San-Ya, China, IEEE-SMC2007, 2009, 2010, Montreal, San Antonio, Istanbul, respectively, eForensics2008, Adelaide, Australia, ISI2008, Taipei, Taiwan, and BroadCom2008, Pretoria, South Africa, and AIA2007, Innsbruck, Austria. In addition to his technical achievements and contributions, Prof. Wang has been also very active in community services, and has written several articles on Du Fu, Li Bai’s poems, Verdi, Puccini, Bizet, and Wagner’s operas, and Mozart, Beethoven, Schubert and Tchaikovsky’s symphonies. Some collections of selected proses were published in his books “劍橋狂想曲” by 文史哲 and “Harvard Meditation Melody”(哈佛冥想曲) by 九歌 健行 Jian-Shing Pub. Co, Taipei, Taiwan, which won best publication award by Taiwan Provincial Government. Dr. Wang has been member of several choirs, including NTU, MIT-CCCS, NACA and BEHC (Boston Eastern Heritage Chorus), and Ping-Pong club.